Identifies a set of educational practices and ideas that define maker-centered learning, and introduces the focal concepts of maker empowerment and sensitivity to design. Shares cutting edge research that provides evidence of the benefits of maker-centered learning for students and education as a whole. Describes unique thinking routines that foster the primary maker capacities of looking closely, exploring complexity, and finding opportunity. A surge of voices from government, industry, and education have argued that, in order to equip the next generation for life and work in the decades ahead, it is vital to support maker-centered learning in various educational environments. Maker-Centered Learning provides insight into what that means, and offers tools and knowledge that can be applied anywhere that learning takes place. At the root of problem solving is a sense of agency. The impetus to engage with a problem starts with a sense that it's possible to reshape something by directing one's actions purposefully. In this article, Agency by Design researchers Shari Tishman and Edward Clapp explore the ways in which practices connected to maker-centered learning increase students' sense of being capable of shaping their world through tinkering, designing, building, and redesigning objects or systems. They identify skills teachers should nurture to increase students’ feeling of agency, build students’ sensitivity to design and empower them to find and solve problems. Agency by Designer project Director Shari Tishman introduces the concept of “maker empowerment” as a potential outcome of maker learning experiences. A practice that promotes the capacity of looking closely is the Elaboration Game. This picture of practice essay shares a version that was adapted by educator Tatum Omari for a group of young learners to examine a tortilla press during their unit of study about bread making. Slow Looking provides a robust argument for the importance of slow looking in learning environments both general and specialized, formal and informal, and its connection to major concepts in teaching, learning, and knowledge. A museum-originated practice increasingly seen as holding wide educational benefits, slow looking contends that patient, immersive attention to content can produce active cognitive opportunities for meaning-making and critical thinking that may not be possible though high-speed means of information delivery. Addressing the multi-disciplinary applications of this purposeful behavioral practice, this book draws examples from the visual arts, literature, science, and everyday life, using original, real-world scenarios to illustrate the complexities and rewards of slow looking. Agency by Design research assistant Sarah May explores the complex nature of working with qualitative data based on her experiences collaboratively coding and analyzing AbD’s interview transcripts. This piece is the first in a series of Field Notes which can be read as a Take Apart Toolkit of sorts, including how to use Take Aparts to engage in deep analysis, to increase accessibility, to explore the complexity of less tangible objects and systems, and more. Cracking the case of a computer always inspires a small gasp—an intake of breath that is part fear and part wonder. And it really is beautiful in there. For that matter, so are the guts of a blender or a blow dryer or an FM radio. When I first started using Take Apart practices in the classroom, it was for the simple unwrapping of the incredible miniature landscape inside of the familiar objects that we think we understand most intimately. The view from the inside is a powerful and nearly instantaneous entrypoint into what Agency by Design names a sensitivity to design—that the world around us is designed and made by humans like us, and can be remade, too. 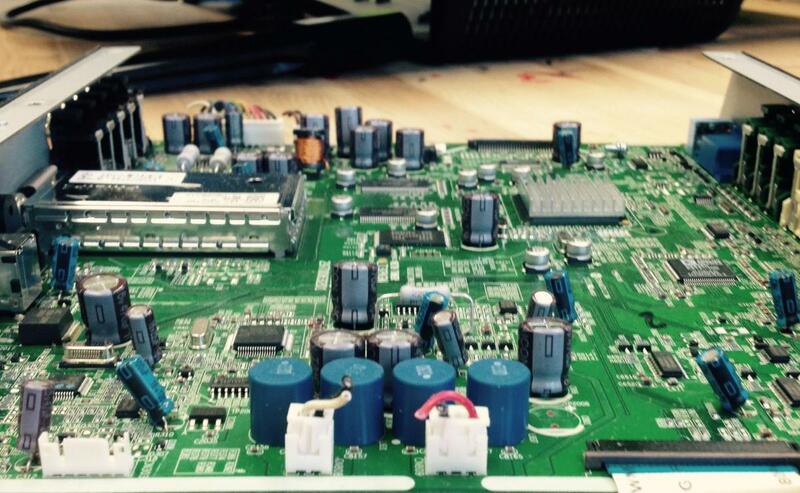 Over time, I came to think of a Take Apart a perfect first dip into maker-centered learning for learners of any age or context because it requires very little prior knowledge. When I’m guiding a group of learners, I like to ask: Look at the object in front of you—do you know its name? Have you ever used it? Most of us can stare down a clock with some level of confidence and firsthand experience. We have a connection to an object we recognize and ready access to what we already know about how it is used, some alternative forms it may have, and even some ideas about how it works. We have memories that may connect it to our home, the Kindergarten teacher who taught us how to tell time, the last clock we touched. A Take Apart has an emotional locomotion that is hard to resist. A first, essential step is looking closely—slowly observing and reflecting on the whole. One of the key requirements of a Take Apart, and one that I share with learners, is this important permission: You will not be asked to put it back together. You do not need to preserve it. Once the clock is really Taken Apart, it does not go back together, literally or conceptually. It is a plastic rain poncho that can never be stuffed back into its perfect tiny pouch. When we unpack the parts and complications of the clock—when we explore complexity—our understanding of it balloons out dimensionally. Permission to break things is a visceral release, and the small shock of cracking the case of a clock marks that crystal moment of transgression. “No going back now,” some learners might say, or “Is this what I’m supposed to do?” They have entered forbidden territory. The real processing begins when learners' hands are deep in the guts of the clock and a flurry of questions and inferences rise out of their inherent curiosity. It can get wild in there, and conversations and observations help make order and meaning of what they find. I like to prompt, What do you see? What words or numbers can you find? How are things connected? How does it work to move the hands? As pieces start to come out onto the table, I ask: Sort them in a way that makes sense to you. Is it the way they fit together on the inside? Is it by size or color? What way explains the clock best? When everything is out, when it is arranged as a representation of our understanding of the clock, it has changed irreversibly. It is broken, for sure, but it is also now physically and conceptually larger than it has ever been. Reflection can make visible how learners’ understandings of the clock and their thinking about it have grown. They can teach what they have learned, or explain a moment of surprise where what they thought they knew about the clock was upended. I often invite my students to consider the following: What was hard about taking it apart, physically or emotionally—and what does that mean? What was hard about explaining its workings? What puzzles remain? Then finding opportunity becomes a natural next step. Often, learners will ask me if they can keep a piece of this clock. I might ask: Why this piece? What do you want to do with it? What should be thrown away, and what is just too interesting? In the past year, the Making Across the Curriculum project at Washington International School has supported our faculty to dig into an exploration of what Take Apart practices might look like in a classroom. The curiosity and enthusiasm of students during a Take Apart is often the most obvious impact, but we are also trying to identify more subtle evidence of student understanding. This White Paper, from January 2015, presents an overview of our developing work, and concludes by presenting the “big take away” from our research and by making suggestions for policymakers, educators, and other stakeholders. Along the way, we identify what we consider to be the most salient benefits of maker-centered learning for young people and, introduce some of the key concepts and resources that have emerged from our work, including the concept of maker empowerment, the importance of developing a sensitivity to design, and the three pathways that lead to these desired outcomes. The Agency by Design team has been searching for answers to the big question: “What are the core outcomes of maker and design thinking educational experiences?” Bruce Hamren at the Athenian School’s Makers Studio has a simple answer: maker experiences provide young people with a sense of “I can do that!” But is “I can do that” enough? In recent years, educators, administrators, parents, and policymakers have expressed a heightened interest in maker-centered learning, the incorporation of the practices of the maker movement into education. Although many have argued that maker-centered learning experiences have the capacity to increase students’ proficiency and interest in the science, technology, engineering, and math (STEM) subjects, others have suggested that maker-centered learning experiences are fertile grounds for STEAM, that is, incorporating the arts into STEM education. In this article, educational researchers Edward P. Clapp and Raquel L. Jimenez propose that the A in the STEAM acronym may stand for 3 different educational outcomes: arts learning, aesthetic education, and/or creativity, but ultimately conclude that the A in the STEAM acronym—however it is defined—is only loosely incorporated into maker-centered learning experiences. Throughout the past decade, the maker movement has become a cultural force, and maker-centered learning has grown in popularity. At the same time, the arts have remained marginalized throughout the educational sphere and limited scholarship recognizes the connections between the maker movement and arts learning. To explore this connection, Agency by Design researchers Sarah May and Edward P. Clapp conducted a thematic analysis of interviews with maker educators and thought leaders, and discovered that these educators rarely used arts and aesthetics-related terminology when speaking about the benefits of maker-centered learning. In this article, they suggest that establishing a language of aesthetics in maker-centered learning might help arts and maker educators see themselves reflected in one another’s work. Participatory Creativity: Introducing Access and Equity to the Creative Classroom presents a systems-based approach to examining creativity in education that aims to make participating in invention and innovation accessible to all students. Moving beyond the gifted-versus-ungifted debate present in many of today’s classrooms, the book’s inclusive framework situates creativity as a participatory and socially distributed process. The core principle of the book is that individuals are not creative, ideas are creative, and that there are multiple ways for a variety of individuals to participate in the development of creative ideas. This dynamic reframing of invention and innovation provides strategies for teachers, curriculum designers, policymakers, researchers, and others who seek to develop a more equitable approach towards establishing creative learning experiences in various educational settings. For the past decade, the maker movement—a rising interest in working with one’s hands within collaborative, interdisciplinary environments that combine a variety of tools and technologies—has been on the rise throughout the United States and around the world. Incorporating the practices of the maker movement into the educational sphere has become of increasing interest to educators, administrators, parents, and policy makers. While there are many important outcomes that derive from maker-centered learning, the aesthetic dimensions of this work may be disorienting to educators with traditional perspectives on aesthetic education. In this theoretical essay, Agency by Design researcher Edward P. Clapp considers the aesthetic dimensions of projects developed in maker spaces and maker-centered classrooms by presenting a symptomatic approach to the maker aesthetic. 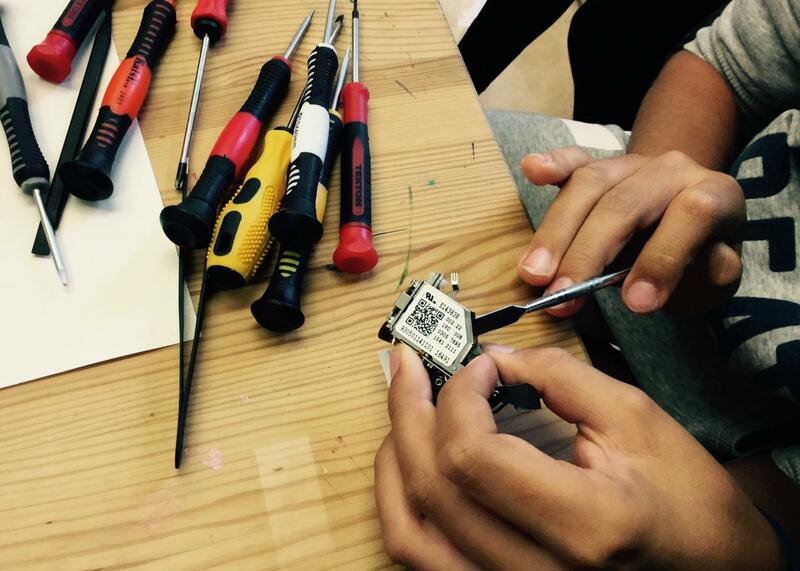 The maker movement is no doubt still trending. But what’s driving this resurgence in the inclination to make? And is it a part of a larger socio/economic shift to a shared, participatory culture? Agency by Design researcher Edward Clapp questions the use of the word failure in maker-centered learning, especially as making activities begin to find their way into schools where “failing” has serious consequences. MakerEd’s newest Research Brief Series, published in early 2018, takes a deep look into the motivations, implications, and practices necessary to situate open portfolios as a means of assessment in maker-centered learning environments. The findings and briefs also draw on our analysis in the first phase of work, continuing to reveal the many facets of portfolio implementation and assessment. Agency by Design researcher Jessica Ross was a collaborator on the brief series and member of the Open Portfolio Project's National Working Group. Participants at the Arts Education Partnership National Forum consider the role of the arts in maker-centered learning experiences. AbD Senior Practitioner Jessica Ross discusses the role of professional learning communities in supporting the work of maker-centered educators. 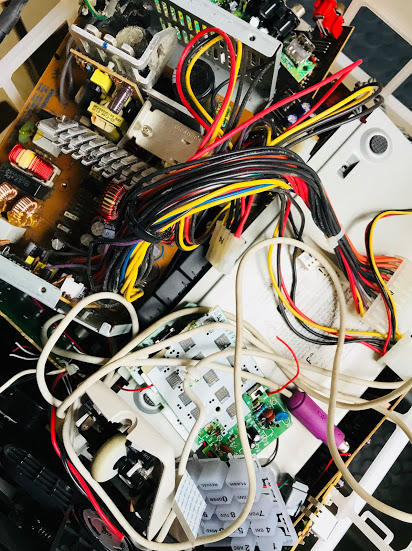 This lesson plan is based on a workshop titled “Taking Apart Racism: Using Maker-Centered Practices to Break Down Systems of Oppression,” led by Jaime Chao Mignano and Mark Perkins at the National Association of Independent Schools People of Color Conference (PoCC). To learn more, read the field notes post, Taking Apart to Build Stories of Change. Are American schools adequately preparing students with the skills and experiences needed to become global leaders tomorrow? In recent years, this central question has motivated a renewed interest in the sciences, technology, engineering, and mathematics (STEM) disciplines. Despite national support for STEM education, there are many who view the arts and arts-based approaches to learning (which are often cited as instrumental in fostering creativity) as essential for bringing an aspect of innovation to STEM education. Referred to as STEAM, the trend toward infusing the STEM disciplines with the arts has been gaining momentum for nearly a decade. In this essay, Agency by Design researchers Edward Clapp and Raquel Jimenez explore how the arts may be incorporated into STEM and maker-centered learning experiences. Makeology introduces the emerging landscape of the Maker Movement and its connection to interest-driven learning. While the movement is fueled in part by new tools, technologies, and online communities available to today’s makers, its simultaneous emphasis on engaging the world through design and sharing with others harkens back to early educational predecessors including Froebel, Dewey, Montessori, and Papert. Makers as Learners (Volume 2) highlights leading researchers and practitioners as they discuss and share current perspectives on the Maker movement and research on educational outcomes in makerspaces. Each chapter closes with a set of practical takeaways for educators, researchers, and parents. Agency by Design researchers have undertaken a review of scholarly literature to further our understandings of the various concepts connected to our study.